A legal bid by the Ministry of Defence to try to cut the compensation awarded to two injured servicemen has attracted widespread criticism. Wounded troops' representatives and relatives said the MoD was "out of touch" and the court bid "unfortunate". One soldier, shot in Iraq, received £46,000, and the other - injured in training - got £28,750. The payouts had been increased after complications. But the MoD argues compensation should be for "original injuries" only. The stance has attracted criticism amid mounting casualties in Afghanistan. 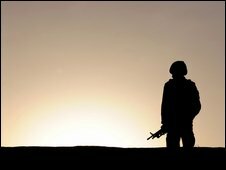 Two more soldiers were killed in Helmand province on Monday, bringing the total number of UK fatalities since operations began in Afghanistan in 2001 to 191. They have been named as Warrant Officer Class 2 Sean Upton, 35, from Nottinghamshire, and Trooper Phillip Lawrence, 22, from Birkenhead. Military officials have said the first phase of a major offensive - Operation Panther's Claw - had been completed in Helmand. The Court of Appeal action involves Corporal Anthony Duncan and Royal Marine Matthew McWilliams. Cpl Duncan was initially awarded £9,250 after being shot, while Marine McWilliams received £8,250 for fracturing his thigh on a training exercise, before they appealed to a tribunal for further compensation. Both men argued they had suffered a number of subsequent health problems during their treatment and these should not be regarded as separate from their original injuries. Three judges agreed with them and increased their compensation, but the MoD is now seeking to overturn that ruling. BBC defence correspondent Caroline Wyatt said the timing of the case could hardly be worse for the MoD, with more and more wounded soldiers returning from the front lines in Afghanistan. She said the case was being watched closely as important legal principles were at stake for other wounded service personnel. 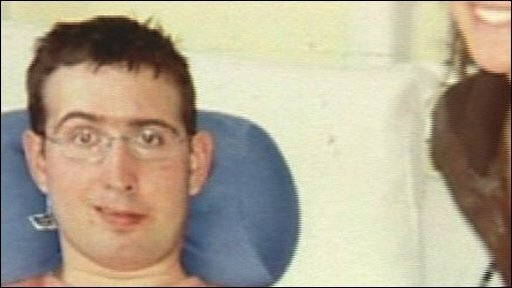 Diane Dernie, 51, mother of Lance Bombardier Ben Parkinson who lost both legs and suffered severe brain damage in a blast in Helmand in 2006, said the appeal by the MoD showed how out of touch it was with public sentiment. "It is very, very sad that on a day like today, when all the news is as bad as it is, and has been recently, that the MoD can still think to cut what are not overly generous payments," she told the BBC. "It just beggars belief really and proves that yet again they don't understand how people feel about our troops," she added. Lieutenant Colonel Jerome Church, of the British Limbless Ex-Servicemen's Association, told BBC Radio 4's Today programme: "This case is obviously appalling timing for the Ministry of Defence." Simon Weston, who suffered horrific burns in the Falklands conflict, said many service personnel with the worst injuries "will never work again or will always have problems". Shadow defence secretary Liam Fox said the case demonstrated that the government had "lost its political instincts and sense of direction". Tory MP James Arbuthnot, chairman of the Commons defence committee, warned that the appeal "sends all the wrong messages" to would-be recruits. The MoD claims it is trying "to clarify an earlier judgment about how the armed forces compensation scheme is administered, and to protect the key principle of the scheme: the most compensation for the most seriously injured". The department is also currently reviewing its compensation scheme following a number of appeals from former service personnel. The MoD points out it has doubled the maximum lump sum payment to £570,000 for the most severely injured soldiers, in addition to an index-linked monthly income for life. Defence Minister Kevan Jones said the action was about trying to introduce "fairness" to the scheme. He said the original ruling had put "an amputee along par with someone who had broken their leg, for example" and the Court of Appeal was "not reducing compensation but actually clarifying the rules". Armed Forces Minister Bill Rammell said the government was "trying to protect that fundamental principle of the most compensation for the most seriously injured". Eric Joyce, the Labour MP for Falkirk who served in the Army, said: "The government is obliged to test the principles to get absolute clarity on what appropriate levels of payment should be made." One of the soldiers at the centre of the row, Cpl Duncan, is currently undertaking his first tour of duty since he was shot in his left leg in Iraq in 2005. Speaking about his injury, Cpl Duncan said: "I thought I'd been rugby-tackled at first. "I was looking around for someone to swing for, then realised I couldn't feel my leg. "I saw the blood and thought I'd been involved in an explosion."